Look at the top three card of your library. Put two of them into your hand and the other into your graveyard. Dark Bargain deals 2 damage to you. Great idea -- Switched out Dark Bargain , been looking at that as a weak link for a while now. 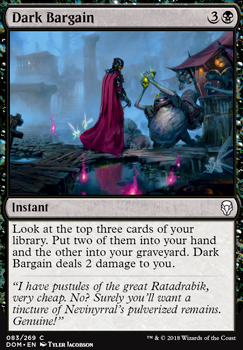 The Gitrog Monster is Muldrotha's best friend so I would defiantly cut Dark Bargain for him. The Gitrog Monster can draw you so many cards if you get lucky while milling yourself. BW control generally involves discard spells. You can get some good ones with Duress , Despise , and Castigate . If your friends play mostly creatures, then Harsh Scrutiny is good too. Hymn to Tourach is relatively cheap, but it's very very very very strong, play it at your own risk of creating an arms race between you and your playgroup. Removal spells like Mortify , Unmake , Anguished Unmaking , Silence the Believers , and Declaration in Stone are all fantastic and I would recommend them over murder or avenging arrow any day. Healer's Hawk is definitely more of an aggro card, if you want an effect like that, I would recommend Vampire Nighthawk . Obzedat, Ghost Council is incredibly strong, as is Blood Baron of Vizkopa . Vona, Butcher of Magan is incredible too. I love merciless eviction, but you should really only run one, I would recommend you play some copies of Day of Judgment , Languish , Wrath of God , and Ritual of Soot to get those wraths earlier and keep the board clear. I cannot recommend enough some Isolated Chapel s, Temple of Silence , Concealed Courtyard s, Shambling Vent s, and Caves of Koilos . Fetid Heath has recently plummeted in price as well, but I don't know your budget. You'll definitely want some card draw to refill your hand too. In these colors it comes at the cost of life, for the most part. My personal favorites in casual decks are Twilight Prophet , but she is ridiculously expensive, and Kaya, Ghost Assassin . Arguel's Blood Fast Flip, Phyrexian Arena , Greed , Sign in Blood , Night's Whisper , Damnable Pact , Dark Bargain , Read the Bones , and Midnight Oil . Hope this was at least a little helpful! Instead of Dark Bargain, what about Risk Factor or Sword-Point Diplomacy? If Axis of Morality is on the board would your opponent be more likely to take the damage from those cards or let your draw them? I hear you on Death’s Presence. Wizards has a habit of making 6 mana enchantments that do nothing by themselves, but still look so tempting to play. I should know better, but I can’t help myself. Maybe Nyx Weaver, Commune with the Gods, Satyr Wayfinder, Mulch, and Dark Bargain are cards that can get things churning early for you. You're very heavy on the 4-drop slot. I would recommend cutting the Approach of the Second Sun, since you should be trying to win by bringing your opponent's life to zero. Anointed Procession is cool, and can be powerful, but it relies on you following it up with other cards. 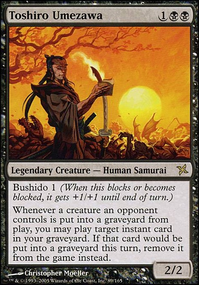 THough pricey, this should be History of Benalia as this card does not depend on being followed up by another card and produces more Knights on its own. Instead of Murder, Fatal Push or Path to Exile are better choices. For more budget options, Declaration in Stone, Go for the Throat, Cast Down, Anguished Unmaking, and Oblivion Ring are good options. You should be running 4 of the Dauntless Bodyguards in the maindeck, they should not be in the sideboard. You're going to be wanting to swarm the enemy in a flood of chivalry as fast as possible, and a few amazing 1 drops can help you out that way. Accorder Paladin, Knight of Glory, and Sigiled Paladin are all great 2 drop knights that help you out in attacking strong and early. Knight of the White Orchid can act as ramp, but is also a decent beater. Always Watching is an amazing anthem effect! 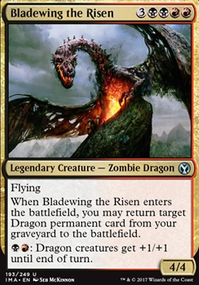 Plus if you run this, History of Benalia, and removal like Oblivion Ring, or Banishing Light, you could run Blood-Cursed Knight! Mirran Crusader is extremely powerful and you should definitely be running 4 of this one. Vona, Butcher of Magan is really cool and can give you an answer to nearly anything, and she helps pay for herself with that lifelink. 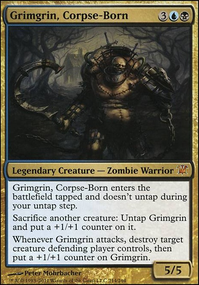 Sorin, Solemn Visitor may not make a knight, but that uptick can be a crushing blow for you enemy. Gideon, Ally of Zendikar makes knights and can drop an emblem to give your team a permanent buff. You'll also want to use some of black's card draw capabilities, since card advantage is definitely white's biggest weakness. Don't be afraid to spend a little bit of life to draw some cards with Dark Bargain, Read the Bones, Night's Whisper, Sign in Blood, or Damnable Pact just to name a few. For your sideboard, cards like Duress are very important if you're running black, I would recommend running 3-4 of these in your sideboard, since you have no other hand disruption. Celestial Purge is pretty popular, as is Timely Reinforcements. Vraska's Contempt and Anguished Unmaking can help you deal with opposing planeswalkers, and Unmaking hits any troublesome non-land, Rest in Peace, Stony Silence, and Zealous Persecution are very strong sideboard options as well. Let me know if this was helpful or would like to know some of the reasoning's behind the suggestions!